Piaggio India, after the resounding success of the new Aprilia SR 150 scooter, will launch the Race Edition derivative on February 9, 2017. The Aprilia SR 150 Race Edition is expected to be a limited edition. The Aprilia SR 150 Race Edition is largely expected to be a cosmetic variant; however, a source tells us that the motorcycle may also have a few mechanical changes. This includes a faster throttle response, slight tweaking of the engine to produce more power and a throatier exhaust note. The cosmetic additions include a 'Race' branding, black floor mat with red elements, Italian flag colour graphics, disc brake caliper done in gold, maze grey body colour, red springs for the shock absorber and a red coloured rear alloy wheel. 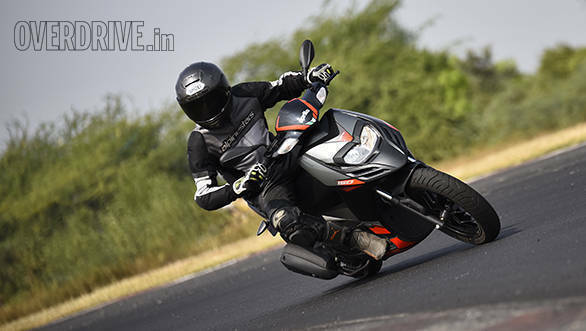 Aprilia's SR 150 currently comes with an 11.54PS/11.50Nm air-cooled 155cc engine. 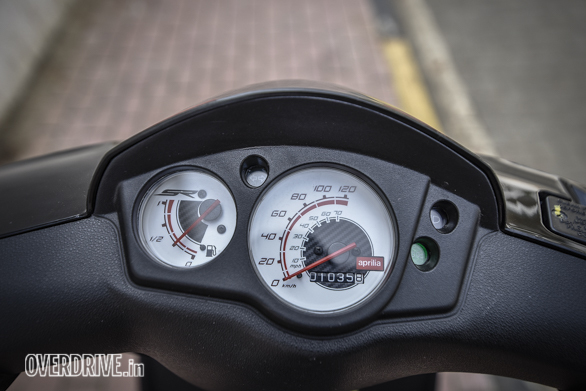 In our tests, the Aprilia SR 150 did the 0-60kmph run in 6.32s and achieved a top speed of 104kmph, the fastest of any Indian scooter. It also delivered an overall fuel efficiency of 35kmpl. The scooter comes with 14-inch alloy wheels and has a 220mm front disc and a 140mm rear drum. Aprilia manufactures the scooter at its Baramati facility. The Race Edition will be available at an extra cost of Rs 3,000 over the regular scooter and will be available as kits too. Bookings will start from tomorrow while deliveries will commence within a month.